Marvel One-Shots: Ms. Marvel, Loki, young Nick Fury, or Black Panther? The Marvel One-Shots keep doubling down. Last week, EW debuted the first look at Agent Carter, a new short starring Hayley Atwell that focuses on Captain America’s Peggy Carter as she makes the post-WWII transition into a chief operative for S.H.I.E.L.D. When it debuts at Comic-Con this Friday night, fans will see a big leap forward in scale and style for the short-film series, just like last year’s Item 47, about a down-on-their-luck couple (Lizzy Caplan and Jesse Bradford) who go on a robbery spree after activating one of the alien guns from The Avengers. So where does the One-Shot series go from here? Marvel co-president Louis D’Esposito, who directed both Item 47 and Agent Carter, offered some insight by way of what almost was: a stand-alone Loki short, a young Nick Fury story, a visit to Black Panther’s Wakanda, and maybe (someday) a Ms. Marvel or Black Widow film. The big question every fan asks is: When will the One-Shots start featuring superheroes? As the series builds, Marvel has done its best to keep expectations in check, trying to avoid leaping in too soon with its established characters. The point of the One-Shots, which accompany Marvel’s feature films as extra features on their Blu-ray releases, is to give fans something different. If they already have a full-length Iron Man film, why make a short one? One reason Marvel has been hesitant to reach too far into its character shelf is because committing to those casting and a costume decisions in a short-film could tie the hands of any director who ends up using those heroes in a feature. But he acknowledges: they’re getting closer. When it comes to using a superhero in a One-Shot, D’Esposito offers this as a for-instance, a personal favorite: Ms. Marvel, a.k.a. Captain Marvel, a human hybrid who gets her powers when an explosion infuses her with extra-terrestrial DNA from the comic-book universe’s Kree aliens. Better not to do it, he reasons, than reach too far, too soon, and do it badly. Budget and time are the primary restrictions. But Marvel is still dreaming big. That’s not what “one-shot” is supposed to mean. 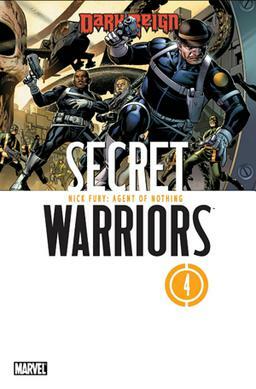 Nick Fury’s Howling Commandos, or Black Panther? Both of those projects would make comic fans squee: Dum Dum Dugan (the bowler-hat-wearing mustachioed strong man played by Neal McDonough in 2011’s Captain America) has long fought alongside Fury in the Howling Commandos, featured in books dating from the early ‘60s up to the present day. And Black Panther, the first black superhero, is another character many fans are dying to see on the big screen (and remains a real possibility for Marvel’s Phase 3.) But introducing him in a short becomes a question of resources: how do you show his fictional African nation of Wakanda on the budget for a DVD extra? That aside, just casting an actor with the necessary badassery for the part would be tough for a short. But fans can take heart: Agent Carter was also once an idea that was deemed too big for the One-Shot series, as well. Marvel considered making Agent Carter earlier in the One-Shot series, but when Captain America came out in 2011 the shorts weren’t expansive enough, and last year, Item 47 simply fit better as an addendum to The Avengers. Agent Carter finally got the go-ahead because it was a good way to bridge Iron Man 3 and the upcoming Captain America: The Winter Soldier. Atwell was available to do it, it incorporated an established character from the comic books who had already been depicted in a film. Agent Carter also gives the Marvel universe a dose of much needed girl-power. If fans who see it in Comic-Con on Friday react favorably, it’s likely to lead to more female heroes on the screen. For those in Comic-Con hoping to catch a 7 p.m. screening of Agent Carter, stop by the Marvel booth for tickets. The short will go wide Sept. 24 on the Iron Man 3 Blu-ray set.